A man who crochets? If you say you have never heard of such a thing then meet Harold Utley. The 61 year old Lakeview, South Carolina resident has been creating beauty with his hands for over 30 years and seems to be only getting started in spreading the word about what seems like a rarity. "It all began over 35 years ago," says Utley. "My wife and I were out celebrating our anniversary and we saw a woman crocheting a scarf. My wife loved it so much I bought it for her." His wife was so thrilled over the handmade item that she wanted more. Instead of going back to buy another one, Utley bought yarn, a needle and a book on crocheting and decided to teach himself the art. 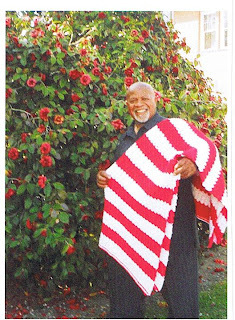 It took him about three weeks to learn and he began making more items for his wife and even taught his children how to crochet. From there Harold decided to share his wares at flea markets, making sales but mainly gaining an audience of individuals who liked to watch him at work. So is he in a world all of his own when it comes to men who have taken up the craft? "There are a few men who do it," he says. "For me, though, it's something God gave me. 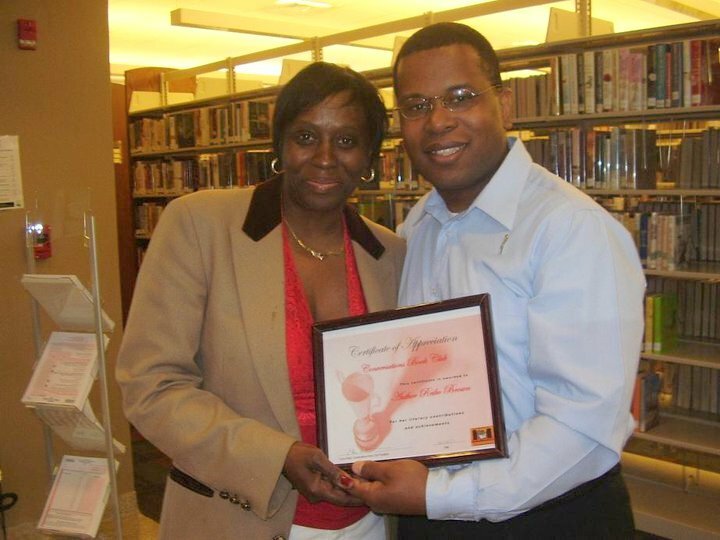 It truly blesses me to do it and share it with others." Dubbed "Mr. Crochet" by South Carolina children's book author M. Beatryce Shaw, for Utley the gift means more than just money. "A big part of what I do is the love that goes into it. I donate a lot to organizations and individuals who I know can use it. Because each piece is handmade you are never going to get what it's actually worth. It's more about my getting more by giving." To find out more information about Harold Utley and his wonderful creations, contact Cyrus Webb at cawebb4@juno.com (Harold Utley in the subject line) or call 601.896.5616. Just a couple of years over 50, author Reiko Brown has seen more than a lifetime's worth of heartache and pain, yet to meet her today you would never imagine the horror she has faced or the lows she has had to experience to get where she is. She chronicles her journey through abuse, drugs and the everyday challenges of life in her book Product Of My Environment. It was the book that brought her to my attention in 2010, yet it has been her desire to use her life as a lesson for others that has kept us connected. What has life been like for her since the book's release? "It's been an incredible roller coaster," she says. When referring to the Reiko that we learn about in Product she adds: "People today aren't worried about that girl. They are more concerned about the woman they see today. They can't believe we are the same." Brown is candid about one of the most hurtful chapters of her past, that being her relationship with her mother. Her mother being the very woman who called her the Devil's Child. "I loved my mother so much," Reiko says. "I would have done anything to be accepted by her." The absence of that love and affection contributed to the choice that young Reiko would make. Though there were outside influences that may have cause her to do some of the things that she did, Reiko doesn't point the finger at others. As she relates her experiences, she feels a sense of relief. "Everyday I have to speak about the book it gets me more and more towards gratitude," she says. That in itself brings up another point about Reiko's journey. She believes that she has lived the life she has so that others don't have to. That is why she feels as though she has to share it with others. In many ways, it's like her ministry. "I wake up thinking what can I do to make your life better," she says. Regardless of what we are going through, she believes each choice has a lasting affect. "The choices you make today are going to direct you the rest of your life," she says. "We all have a purpose. Every single person has a purpose." For Reiko it is all about what we choose to do with the life and chances we have been given. It's plain to see what path she has chosen. The rest is totally up to us. 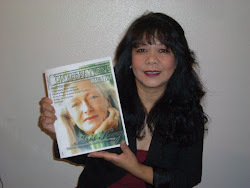 To find out more information about Reiko Brown and her book Product Of My Environment, visit www.productofmyenvironment.net. As a poet, author and performer, California native April Mahoney is not only multi-talented but multi-dimensional as well. It's impossible to put her in a box, and when you talk with her, it seems as though she is able to be all things to all people. There in lies her amazing gift. When I was first introduced to her, it felt as though we had known each other for years, and when she talks about her work, it's impossible not to feel the level of excitement that comes out of her. In this conversation she talks about getting to the point where she knows who she is, how her gifts impact others and what's next for the woman who is entering rooms all over the world and making herself known. April, this interview with us has been a long time coming. There is so much going on with you that I want us to really start at what I feel is the beginning. You have what can only be described as a gift when it comes to words. When did you discover it? Around age 8 my parents and I detected that I had a reading challenge. Not only was this learning challenge but I became very frustrated causing me to lose interest in reading and become easily distracted in class. My parents would direct me to the dictionary when I had a problem with my homework but what we did not discover until later was that I could not completely hear the sounds that the letters were making. Then and now schools have moved more towards teaching memorization instead of syllabication and phonics. My father is a true word smith. Words rolled off of his tongue like crushed blue velvet, regal and smooth. I love that. Every woman can appreciate a man that has a way with words. Daddy introduced me to Dr. Seuss, from there I started to rhyme, write and find my voice. I also discovered a love for journaling in my diary. In those journals I would write about how one day I would write a book of poems and to my delight here I am interviewing with you 3 books later. There are so many people who are uplifted and inspired by your dedication to the craft. How has it been for you to know that something you enjoy is appreciated by so many? Humbling, I consider sharing my poetry a labor of love. Folks come up to me after a gig to say how they were moved and motivated by the poetry but I like the word you choose inspired. Writing, producing and performing is always a joyous time for me. I love to shake it up and push people beyond their comfort zone. If I can offer options to solving a problem, or suggestion toward making a positive change, promote love, happiness and hope then I feel I have something to offer. But, what is even better is when my experience with an audience or group comes full circle bringing me new inspiration and experiences to write about. 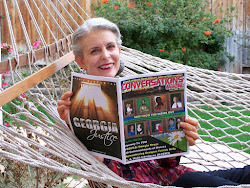 This issue of Conversations Magazine is celebrating the power of the written word in all of its forms. With your gift of poetry, though, also comes the ability to deliver your words to an audience. Has there ever been a time when you felt as though your talent was more about helping others than yourself? Yes I do, all the time. I have written poems for fundraisers, wedding/funerals, to educate inter-city youth on stem cell research and on the environment from a bird’s eye view. Opening myself up by self publishing my second book of 100 personal poems was the game changer for me. I was nervous but I learned to channel myself into becoming that voice of reason on stage by speaking for the underserved and overlooked. In my book Utter Magic you will find numerous poems dedicated to victims of cancer, drug addition, sexual abuse and homelessness. My work gives these causes an additional platform, another medium to an audience that may not have been engaged and yet will gravitate to the cause because of the way the message was delivered. April, let's talk about social issues. You delve into them in your poetry and when just telling a story. Do you see that as a responsibility of yours when you have the attention of those reading your words? Absolutely, you never get a second chance to make a first impression. I have to siege the moment and leave an imprint whenever I get the chance to capture someone’s undivided attention. Folks have short attention spans and even less patience. Social networking has become a necessity for so many of us when it comes to reaching new audiences and maintaining relationships. What about for you? Honestly, I am not a big social media fan. I use to be until I found that social networking isn’t really networking at all. I will admit that it is a monster and has many pluses but there again I began to notice people becoming so self- absorbed, distracted, reactive and exposed to the” Look at me Syndrome” or utilizing it in a cowardly way to put somebody on blast. I believe in boundaries and I select my friendship carefully. I feel that we should protect our privacy whenever and where ever we can, choose our friends wisely and not collect them like tokens. For me there is nothing more intriguing than a human interaction, the sound of your voice on the phone, a hug, a card or letter via snail mail. These acts of love and kindness take time, energy and effort. It tells me that you care. It makes a person feel extra special. On my website is where I prefer to share information, photos, philanthropic news, contest and events. Tell us what's coming up next for you? I am in the process of penning my second young adults’ novel due out later this year. Currently, I am working on a behind the scene music documentary in concert with some East coast spoken word appearances scheduled for the spring and summer. Also, I have been asked to keynote at a few conferences, workshops seminars and motivational speaking engagements. Any advice you have, April, for those reading this and wondering how to use their own gifts? I don’t like to offer advice it seems so matter of fact and I don’t have all the answers. I will however share 3 mottos and suggestions that I live by be “Big Brained and Not Small Minded”, “Nothing surpasses a failure but a try”, and “Feel the fear and do it anyway”. Thanks for your time. We will be checking back in with you soon. How can our readers stay in touch with you? For the monthly calendar of events, contest or request for presentations and performances please visit me at www.Agoodperson.biz or email info@agoodperson.biz. You can also purchase a copy of Small statements that mean a lot, Utter Magic, Rico the Seagull, book cards and coffee mugs by visiting my website. 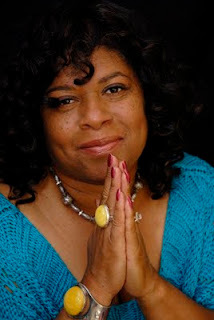 Author Sheryl Mallory-Johnson has managed to create a readership that spans different age groups and backgrounds all by just being true to who she is as a person and her gift. 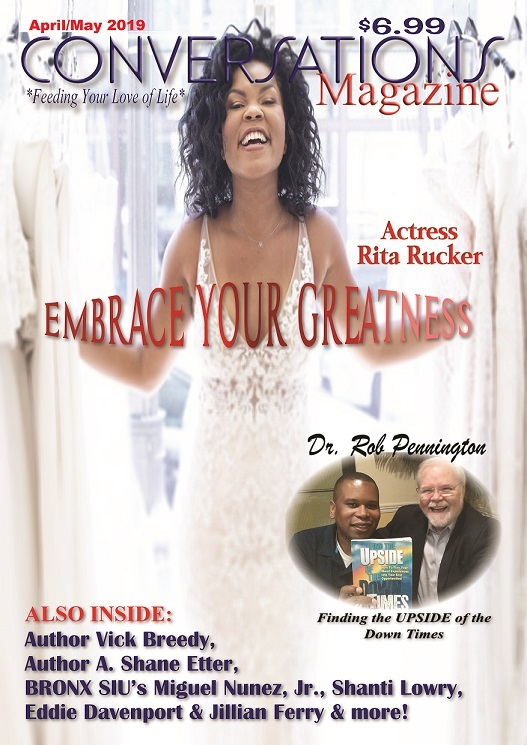 The California native talked with me about this journey that has allowed her to meet her readers wherever they might be in order to address their concerns and issues while giving them some great entertainment along the way. Sheryl, it's great to catch up with you again. The last time we talked, you were promoting your adult novel SENSE OF LOVE. Since then you have written for younger readers. What has the change of audience been like for you? Writing for an adult audience comes natural for me. Writing for young adults, however, requires that I get into their world. I accomplish this by talking to the teens around me, listening to their music, watching their TV shows, doing their dances (laughs)and understanding their language and means of communication. When I was a teenager, we didn’t have cell phones, Facebook, Twitter, nor did we have our own texting language. This is a whole new generation, connected to the real world at the click of a mouse or by simply turning on the nearest television. I have to be “up on it,” as they say. So, the change of audience is interesting to say the least. But no matter how old I get, the teen I once was isn’t far behind. When you first started on this journey as an author did you have a certain audience you wanted to write for? Funny you should ask that question, Cyrus. Ironically, my journey as a writer started with the YA audience. The L.A. Summer series originated as a motion picture screenplay some ten years ago, and was titled “Rollin’ at the Rink.” I had a “Hollywood” agent at the time that attempted to shop my screenplay for production. Lo and behold, a movie titled “Roll Bounce” was produced and subsequently one titled “ATL,” centering on a similar theme. It’s amazing how God blesses our lives in ways we don’t “get” until we get it. My hurt and disappointment led me to my passion, novel writing. Since, I’ve adapted both of my screenplays to novels, which includes the L.A. Summer and Sense of Love. I remember from our conversation on the radio that you are really into developing characters that readers can relate to and understand. Has that been even more so with your writing for younger readers? Definitely! L.A. Summer is raw and real and not written for adult approval. As a matter of fact, akin to real life, the adults in this series are left in the dark for the most part. As a YA writer, the last thing I want to do is write preachy stories teens cannot relate to. I give my characters freedom and allow them to learn lessons in hindsight, like we all have. I love this population! Many teens of today are ahead of their time, extremely intelligent and goal oriented, yet they are also impulsive, politically incorrect, and unpredictable, which makes for drama packed, fun filled plotlines. Sometimes I don’t know what stunts Stacy, Mikki and Carlette are going to pull. It’s the heat of the moment for these girls, act now and deal with the consequences later. I keep making the distinctions about the demographics you are writing towards, but I think you would agree that just as many adults like your YA work just as much as your adult novel. Has that surprised you? Yes, it has come as a surprise, an exciting one. Actually, some of my adult readers prefer my YA novel and are anxiously awaiting the sequel. It might be because this is an “edgy” series, with some mature subject matter, written for high school age girls on the brink of womanhood, or because many adult readers find themselves transported back to their own teen years through the characters’ experiences. Tell us about L. A. Summer and the series. L.A. Summer is a fast paced, reality based series written in the voice of three in your face, memorable characters, Stacy, Mikki and Carlette. The story arose from my coming of age experiences in South Central L.A., after spending my early school years in West L.A., a predominantly white, influential area, while my mother attended UCLA. In some ways, I was much like Mikki, a small town girl thrown into the lion’s den. In other ways, I became Stacy, strong and tough on the outside to survive and fit in. And there are many teenage girls who can relate to Carlette, hungry for freedom and willing to risk it all to obtain it. Despite experiencing the death of a boyfriend at the hands of a drive by shooting, surviving a drive by shooting myself, being forced to fight to maintain respect, and watching the rise of crack cocaine devour the streets around me, what I remember and appreciate most about coming of age in L.A. is hanging with my best friends, the nonstop drama and mischief, loving boyz, and having fun! That is what this series is all about. Social networking sites like Facebook and Twitter are big among all ages, but especially among the young audiences. How have you been using them to get the word out about the books? Well, I’m certainly on Facebook, and was on MySpace. I’m also on Twitter, but still don’t get it. My other marketing efforts include libraries, teen websites, teen groups, churches, schools and being lucky enough to gain the attention of the great Cyrus Webb and Conversations Live! What's next for you, Sheryl? What’s next for me…? Books, books and more books! I recently completed my second Women’s Contemporary fiction titled Love & Regrets (at the moment anyway.) If adult readers want a book they can’t put down, they will love this provocative, romantic, fiery novel, which weaves the lives of three beautiful women around five desirable men. I’m also working diligently on book two of L.A. Summer, which will be finished soon! Thank you again for your time. How can our readers stay in contact with you? Readers can blog me anytime at http://www.sherylmallory-johnson.com, or send me a friend request on Facebook. To purchase L.A. Summer or Sense of Love, they can visit Amazon.com or Barnes & Noble.com. Sense of Love is also available on Kindle. Christopher, we appreciate your allowing us to share your story. Let's begin with what brought you to our attention, which is your debut book. What led you to write I STOOD ALONE? While I was incarcerated, I was actually divinely inspired to write I Stood Alone. I had a spiritual-dream in which the Creator revealed to me to write the book. In your interview on Conversations LIVE, you talked about the challenges that those who have served time have when they have served their debt to society. Talk a little about your own difficulties that you experienced? Ex-offenders experience an array of challenges upon their release from prison. Those challenges present themselves in many ways, such as housing, family issues, job attainment, and inadequate re-entry programs. Many times ex-offenders do not have homes to be paroled to, and for many of those that are able to stay with family members or significant others, the homes are not conducive for the ex-offender to make a smooth transition into society; that is, the ex-offender may not have a healthy relationship with the person with whom he has been paroled. Another issue is employment. Employers oftentimes do not hire ex-offenders, and of the few places of business that do hire ex-offenders, the salaries are usually miniscule and not an adequate amount to support oneself. I was somewhat fortunate in that, upon my release from prison, I was paroled to my paternal grandmother's home. My experiences with employment were a little different than most ex-offenders, primarily because of my family's support. I did not have the responsibilities that many ex-offenders have, as in children and spouses. As such, I was able to focus more on re-acclimating myself to society, rather than having to worry about getting a job and paying bills. My first job, however, was as a third-shift stock person at a local grocery store, though my employment did not last long. After completing my twelve-hour shifts, I would return home where I cared for my grandmother who was stricken with Alzheimer's. I would sometimes come home to find that my grandmother had soiled herself, or had made a disastrous attempt at cooking breakfast. I eventually quit my job to care for her full-time and to continue my education. Because I had the support of my grandmother and aunt, I was able to achieve my Bachelor's degree. The biggest challenge I faced when I was released was in learning the varied personalities of my family members; most everyone had seemingly changed from the persons I knew them to be when I left them as a young, twenty year old man-child. Life had changed them; some of them were no longer caring, nurturing persons. For me, the change in them was a difficult adjustment. I had always been very family-oriented, so to come home to persons who were self-serving and cantankerous was a real challenge for me. When it comes to the message you hope people get from your experiences, what would it be? The message I hope people will get from my experiences is that ALL things are surmountable through the power of God within us. I know that such statements seem like a cliché, though I know the truthfulness in my assertion. In the twinkle of an eye my whole world had turned upside-down. Life has a way of throwing us curve balls, yet through my own experiences I have learned that, if we simply hold onto God's unchanging hand and to keep our eyes on the prize, we can overcome anything life hurtles our way! This year Conversations Magazine is all about new beginnings. What are your plans as you move forward in sharing your story and in your career as a writer in general? My plans are to make my books globally accessible. I want people all over the world to read the veracity of my experiences and to, prayerfully, gain an insight into a life that may be very different from their own. It is my hope that the readers find the strength within themselves to weather the storms of life. To that end, I will tirelessly tour the country promoting I Stood Alone and Love's Child. Additionally, I am in the process of writing a sequel to I Stood Alone. Christopher, any advice you want to pass on to individuals who may have gone through situations similar to yours and feel as though they want to share it the way you did? My advice to those who have been incarcerated is for him/her to stay focused on his goals and objectives, steer clear of old vices, and to seek counseling. The transition from being bound to being free is a difficult one mentally, emotionally, and spiritually. In the African American community there is a stigma attached to seeking mental health therapy. Just as we, as people, have a need to be seen by a physician or dentist for an ailment or simply for a check-up, so, too, should we seek the help of a mental health therapist to maintain our mental health. Life is sometimes cumbersome. We ought not to feel ashamed to talk with a professional in an effort to successfully navigate our way through life. Regarding ex-offenders sharing their experiences, I would encourage the ex-offenders to set aside some time to chronicle their experiences. Even if they do not have a goal of writing books, the ex-offenders can verbally share their knowledge and use it to correct the actions of wayward teenagers or adults. Also, they can volunteer as guest speakers at juvenile detention centers in hopes of changing the lives of our youngsters. AA/NA (Alcoholics Anonymous/Narcotics Anonymous) meetings are another means for ex-offenders to share their experiences in a helpful and therapeutic manner, regardless of whether the ex-offender has a substance abuse problem. What about people who are just dealing with the day to day struggles of life? Any encouragement or words of wisdom for them? As with ex-offenders, I encourage anyone to seek the help of a qualified mental health therapist. I find that persons who have NOT been incarcerated face many of the same issues as ex-offenders, i.e. difficulty with employment, family problems, and poverty. I encourage people to connect with their spiritual-selves and gain sustenance from it. Finding spiritual solace can be found in many places. I believe in the sacrifices of Jesus Christ, though spirituality can be found in any number of faiths (Islam, Buddhism, Taoism, etc.) The important thing is to connect with the essence of the universe and, from there, to find the means to move through life both healthily and with purpose. Thanks for talking with us, Christopher. How can our readers find out more information about you? (This interview originally appeared in the debut issue of Conversations Magazine in April 2006. It is being reprinted in the April/May 2011 issue of the magazine to celebrate the 5th anniversary.) 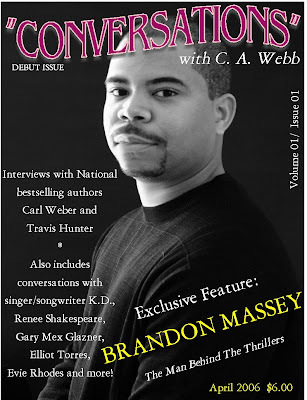 It's had been two years since our last conversation with Brandon Massey, and in that two years he has been busy honing his skills, finishing new thrillers and added the title of "husband" to the many slashes that are developing behind his name. I have the pleasure to talk with Massey on my radio and television shows by in March 2004. 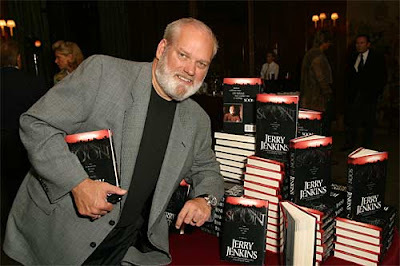 At that time he was promoting his book DARK CORNER, a spine-tingling vampire novel that was set in Mississippi. • Brandon, for those who might not be familiar with you or your work, why don't we start there. Talk about yourself, where you're from and when you knew you wanted to be a writer. I was born in Zion, Illinois an hour north of Chicago. I was raised by a single mom who passed on her love for reading. At the age of 15 I became interested in writing, finding that it came naturally to me. My family thought I should try to pursue something that would get me a real job, but I can be stubborn if it was something I wanted to do. My journey as a published author began with my book THUNDERLAND. I was able to sell about 5000 copies myself, and then my present publisher Kensington heard about me and they released my first novel and has published every one since. That first book won the Gold Pen Award for Best Thriller. • Brandon, we talk to creatives all the time about their inspiration or those who encouraged them along their journey. Who has that been for you? It has been my English teachers. They told me that I was good and that was a huge boost of confidence for me. I even had the pleasure to sign a copy of one of my books for an old English teacher at a book signing. A surreal moment for me was the opportunity to go to the elementary school that I had attended and speak to a group of students. I hadn't been in that school since leaving, and I was surprised that some of the same teachers were still there. • You have three novels under your belt right now, Brandon. Thunderland, Dark Corner and Within the Shadows and you have edited other volumes in your Dark Dreams series of African American authors. When did it set in for you that people were taking you seriously as an author? It's gratifying to see your name in print. I have spent 10 years writing without any recognition, but I can still remember going to the bookstores and imagining my book being on the shelf. Now that I can do just that, I consider it a blessing to be a published author. • IS THERE PRESSURE FOR YOU WITH EACH BOOK AT THIS POINT? Definitely. I put more pressure on myself than others do. People read each book and want it to be better than the last one and I know that. For that reason I know I have to keep trying to raise the bar. And then I have the publisher to consider. They want your sales to go up with each release as well. It's important to stay consistent. People tend to make assumptions about authors that are not necessarily true when it comes to them personally such as we are automatically wealthy because we are in print, etc. ; those things are not always true . • WITHIN THE SHADOWS FOR ME WAS A DIFFERENT READ THAN YOUR PREVIOUS WORK, DARK CORNER. ONE OF THE THINGS THAT STOOD OUT TO ME WAS THAT YOUR LEAD CHARACTER HAD A MORE DEFINED LOVE INTEREST IN THE NEW BOOK. Yes, there were difference. I wanted something more contemporary this time. Within the Shadows takes place in Atlanta and deals with a different type of situations to deal with. And since I had entered the dating scene myself, I could draw on my own experiences in developing the characters. • DO YOU FIND THAT PEOPLE COMPARE YOU TO YOUR CHARACTERS? TAKE ANDREW WILSON FROM WITHIN THE SHADOWS: ARE THERE ANY SIMILARITIES? I'm decently organized, not as compulsive as Andrew. And, unlike Andrew who asks himself what his penname would do in situations, I don't ask myself what I would do if I was this character or that character. • DO YOU THINK PEOPLE HAVE A LARGER PERCEPTION OF YOU THAN YOU DO? It gets hard sometime, especially when I am approached by aspiring authors. They want me to give them all the answers to being successful. I try to help people who have a genuine desire for writing. People don't understand that you have to strive a balance and take care of your own responsibilities as well. I would like to help everyone, but that is not always possible. • TELL US ABOUT THE BRAINSTORMING PROCESS FOR YOU. It is really easy to come up with ideas. No real ritual for getting motivated, but I do have to start off every day with my coffee. Another thing that is important for me is to read good writing. I try to read a book a week, though with my schedule it's not always possible. I have found that it's easy to write well yourself if I am reading books that are well-written. • AS YOUR CAREER HAS DEVELOPED AND YOU HAVE EXPERIENCED CHANGES IN YOUR PERSONAL LIFE, HAVE YOU MADE ANY CHANGES? I realize it's important to have a life outside of writing. I try to stay in tune with the regular world. I write Monday through Fridays now, and try not to work on weekends. If an idea comes to me on either a Saturday or Sunday I just make a note of it and go on enjoying my time off. I am married now, and being in a relationship was an adjustment for me as well, but not a difficult one. I had gotten used to being alone, because I was alone and I focused my energy on my writing. Now I am splitting my time between all the things that are important to me. I can write about relationships now because I am experiencing that. • DO YOU THINK THE CHANGE IN YOUR RELATIONSHIP STATUS WILL CONTINUE TO CHANGE YOUR STYLE OF WRITING? It will change the things I write about. I had never really developed characters that were married. Now that is something I will probably try. • I KNOW YOU HAVE MENTIONED THAT OCTAVIA BUTLER IS ONE OF THE WRITERS THAT YOU READ AND WAS INSPIRED BY. WE LOST HER RECENTLY. WOULD YOU MIND SHARING SOME OF YOUR THOUGHTS ABOUT HER LIFE? She was an inspiration to me in so many ways. She was writing science fiction when other black writers were doing politics and relationship books. She blazed her own path. • BRANDON, THAT'S TRUE, BUT YOU ARE A TRENDSETTER IN YOUR OWN RIGHT. HOW DOES THAT MAKE YOU FEEL? I try to be conscious of that, because it's true not just among blacks but all in my genre. That is why I try to get as many new writers exposure as I can. I know there is nothing like having that validation of seeing your words in print. The Dark Dreams anthologies accomplish that. • AFTER READING DARK CORNER AND WITHIN THE SHADOWS, I AS A READER FINISH IT THINKING THAT YOU HAVE SET US UP FOR A SECOND BOOK. WHAT ABOUT THAT? To be honest with you, none of the books were written with a second book to mind. • WHAT ABOUT IF THEY WERE BROUGHT TO LIFE ON THE BIG SCREEN? There have been offers to do just that, but I am not ready to do it myself. I would consider a partnership with others who are more knowledgeable about the film industry. • YOU HAVE HAD SO MANY SUCCESES IN YOUR SHORT SPAN AS A PUBLISHED AUTHOR. WHAT WOULD BE A CROWNING ACHIEVEMENT FOR YOU? I think it would be making he New York Times Bestsellers list. It would give me a great deal of pleasure to know that my work had won favor with a large group of people, getting the acclaim of the masses. • WHAT WOULD BE A CAREER DISAPPOINTMENT? I think it would be putting out a book that everyone hates, and I'm not talking about something that first-time readers disapproved of. I'm speaking more of those who have been with me throughout my journey. • WHAT ADVICE DO YOU HAVE FOR UP AND COMING AUTHORS? It would be for them to write regularly and finish what they are writing. And always keep your plan moving. Once you have completed a work then start thinking about revising it to prepare for publishing. Get feedback from those outside your circle. Attend writer's conferences, develop a process that works for you and learn from trial and error. For me in self-publishing I knew that I had to work as not just the writer but the promoter of my book. You have to take advantage of any opportunity to get your name out there through interviews, promotional materials and through other authors. There are a lot of books out there so you have to stay polished and produce something that will stand out from the masses. My grandfather was an entrepreneur, so I grew up around small businesses. As a self-published author you are a business, and you have to always be stepping up your game. You can learn more about Brandon Massey and his work by visiting www.brandonmassey.com. He is one-half of the most successful writing team of our generation. Jerry B. Jenkins and Dr. Tim LaHaye, the authors of the bestselling LEFT BEHIND series, are responsible for a phenomenon that has both sparked discussion and a renewed passion in reading. Though impressive, this is only part of Jenkins' story. Apart from the partnership with LaHaye, he has penned almost 200 books, many of which are biographies, selling millions of copies worldwide. Emanuel, you have had so many accolades thrown at you in your career as a spoken word artist. What is it like to be so respected as part of the artistic community? Sometimes it feels awkward because some people forget you're human and have expectations of who you are supposed to be. But mostly, it's a great feeling, no doubt. I've worked really hard to make up for the mistakes of the past and am simply grateful for the opportunity I've had to reach so many people. I know from your website www.emanuelxavier.com that you went through a lot before achieving your current success. When did you turn to writing and your gift with words? First time I ever heard spoken word poetry at the Nuyorican Poets Cafe back in '96 I knew right there and then this is what I wanted to do for the rest of my life. At the age of 25, I knew if I kept going the way I was going I was going to die and nobody was going to ever hear my story. I started writing with a vengeance. While my friends were out playing handball or cruising, I was reading everything I could get my hands on and typing away at my friend Stephanie's apartment up in Harlem because I didn't have my own computer back then. That was the most happiest and creative time of my life because I really believed I had something to say and discovered something so profound within myself ready to be unleashed. It was like divine intervention. Writing your poems as a form of therapy is one thing, Emanuel. But with the subject matters being so intense, was it hard to decide that you wanted to publish them? You know, I never really had any doubts about what I was about to reveal through poetry. I think when poets start second-guessing themselves, that's when they're in trouble. Its one thing to ask the opinion of someone you really trust to give constructive criticism, but it's another thing when you decide not to publish or read something because you're afraid of the repercussions. Like any art, it's important not to feel constrained or limited when you're creating. The audience truly appreciates when you're being real because you might be sharing something they're afraid to speak out about or don't exactly know how to put into words. I always try to keep myself in check by reminding myself what we do as poets is not for us but for those out there that don't have the opportunity. We have the responsibility to give voice to those who are silenced or choose to remain silent in order to survive. I am always interested in how artists decide the route they want to go as far as promoting themselves and creating the buzz around their work. Walk us through you journey. When I first started, I was fully aware I already had three strikes against me- I was young, I was a minority and I was gay. Add the fact I was just pulling away from being known as a notorious drug dealer and prostitute and you might understand it was such a challenge for me to be taken seriously as a poet. I still remember those people who made fun of me and criticized me for trying to get my work out there. Also, I had no formal education as a writer so there was much speculation about what I was trying to bring to the table. But I was determined and full of ambition because I had never been so passionate about anything in life. Having been a hustler, there was no shame left whatsoever and because of the thick skin I developed while out on the streets I managed to get past all of this. It felt really good being able to go back to the West Side Highway piers where I had once hustled and the New York City nightclubs where I had once dealt drugs to distribute the postcards I had printed with my poems on them. Is it difficult for you to promote yourself? Does it take away from just wanting to do your craft? I am blessed to have an awesome manager, who happens to be my best friend, handle most of that for me. Of course, as entertainers, we're always promoting ourselves. You can't possibly reach everyone you want to if you just spend your time writing. It's important to be informed about opportunities to get your work out there and reach your target audience. Being savvy is just part of the business and it helps if you're out enjoying life and meeting other people. How did the repeat appearances on Russell Simmons' Def Poetry Jam come about? Reaching such a large audience did it change the way people saw you as an artist? I was skeptical at first that I would ever be considered because I was an openly gay poet but fortunately Russell Simmons and the producers of the show were looking to feature poets based on talent and air a dynamic program that would open the eyes of viewers. I knew it was going to be ground-breaking and change people's perceptions about poetry when I found out who had been cast for the show on Broadway. These were some of my peers- poets I had much love and respect for. It was a really exciting time for all of us. I've only appeared on the show twice and both poems featured were from my first collection of poetry so I certainly hope people realize this is not the full range of my work. It was a wonderful opportunity but I hope people look up their favorite poets and find out more about them and read some of their work. Three minutes on television can reach a lot of people but in the end it's just three minutes on television. Spoken word has been linked so many times with hip hop, especially with the popularity of Kanye West and Common. Do you think it has helped the craft gain more validation or hurt it, making it guilty by association? Throughout history there have always been poets in the music industry. Of course, musicians have the opportunity to reach so many more people than spoken word artists do but that doesn't take away the fact that we're all just trying to move and inspire people with our words. These musicians could be recording so many other things that the masses would still run out and buy but they choose to create in more meaningful ways that strikes a chord with the times. More power to them for using their success to try to create change. I'm curious about something, Emanuel. Let's say you were going to tour with one of your projects, we'll just say your book CHRISTLIKE. What would be the deciding factors as to what states you would visit, where in those states you would go as well as how you would advertise? Funny because I just signed a contract with Suspect Thoughts Press to reprint that novel in a few years now that the original publisher is no longer in business and the book is out-of-print. When the book first came out in '99, the publisher was a small press and I didn't have the opportunity to properly promote it. It did quite well and has a small cult-like following but that was mostly from word-of-mouth. Because of the nature of the book, I suppose I will be touring cities with prominent gay and latino communities. The story is very New York but the theme is universal and so I wouldn't limit myself to just targeting these two groups. Simply put, I would visit any city that would welcome me and leave the advertising to the manager and publisher. I googled your name online after your manager Leo Toro contacted me about you. I read an article you wrote for the New York Post that appeared online on January 11, 2006 about your attack that occurred a few months prior to that. An interesting thing that stuck out to me was your spin on what happened to you, bringing attention to the fact that there is a problem with Latino-on-Latino violence. You went on to say that these young men who commit crimes don't have a clear father-figure at home and look for one on the streets. My question would be, do you see yourself as a role model for these young people as to what you can accomplish and give us some feedback on some experiences you have had in dealing with the youth? That incident really threw me for a loop because I try to do a lot of work with at risk youth and I hate that it made me question if everything I was doing was worth it. I suppose I have come to accept my responsibility as a sort of role model but I just wish they didn't have to go through everything I had to endure throughout life. It's so unfair that we have to suffer so much before we grow into ourselves only to suffer in other ways. But I always quote graffiti artist Keith Haring for this one, "To find hope and beauty in the face of struggle and oppression is certainly a challenge but also carries with it the greatest rewards ." What's in the works for you right now? Besides the forthcoming reprint of Christ Like, I'm working on a new poetry collection. Bullets & Butterflies: queer spoken word poetry, a collection I had wanted to publish for the longest time and finally edited for Suspect Thoughts Press was just nominated for a Lambda Literary Award in the Anthology category, which is pretty ground-breaking in itself. However, I will not be able to attend any of the events and awards ceremony on May 18th in DC because I'm scheduled to be in New Orleans and Austin during this time. Besides my own appearances, I'm still putting together the annual Glam Slam competition in New York City with the House of Xavier during the summer and other exciting events and benefits. I should also mention I'm collaborating with a record producer to lay down one of my poems as a dance track. I've always been a fan of Mutaburaka's house classic, "The Poem" and look forward to giving back to the underground club scene and ballroom community which nurtured me back in the early days. Any advice for those who might be reading this interview that are interested in pursuing a career as a poet or spoken word artist? If you're truly passionate about what you're doing, don't let anyone ever tell you it's not possible to make a career out of being a poet. There's much sacrifice involved but dreams are meant to be followed. Words alone can't save the world, but they can definitely start the revolution. Thanks for the time, Emanuel. Any last encouragement you want to share? Yeah, it's important to realize that though spoken word starts with the solitary act of writing a poem, we're not alone in this struggle. We must keep writing and telling our stories because, if we don't, no one else will. Father Greeley, we appreciate your taking out the time to talk with TAKE TEN today. Having enjoyed numerous bestselling novels and praise from around the world for the stories you create, do you see your writing career as an extension of your ministry? Not so much an extension as an essential part of my ministry. When did you know that you were such a gifted storyteller? Did you come from a family of readers? I don't know that I'm a gifted story teller. I must leave that to others like yourself to judge. Both my parents read and both like to tell stories. I have been curious for sometime about was there any one individual along your literary journey that inspired you to write and then seek to be published. Can you share with us what led to your submitting your first written work? 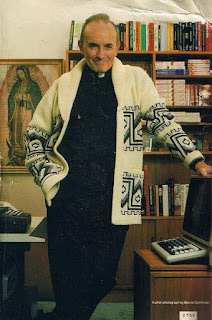 The late Bernard Geiss, a "packager" of novels, urged me to write a story about two young men who grew up to be priests. The Cardinal Sins emerged from that suggestion. I became a fan of yours some 10 years ago, and I can say that one of the things that I loved about your work was how you allowed us to see the human side of people carrying out God's work on earth. Do you think we sometimes forget that the people carrying his message are prone to the same mistakes as the rest of us? Many people expect perfection from their clergy and are shocked and dismayed when they see not perfection, but humanity. Sometimes the clergy abet this by pretending to be perfect. Your work doesn't seem to try and protect anyone from scrutiny as we saw in THE CARDINAL SINS and PRIESTLY SINS. How much do you think the scandals of the Catholic church were worsen by the denial of any wrongdoing? They were certainly made worse by constant denial. Why should anyone believe a bishop any more. I know from talking to other fans of yours that regardless what their faith, you books strike a chord with all types of readers. What do you contribute that to? I don't know how to answer that question. Apparently I write stories that many different kinds of people like to read. On the other hand I get lots of hate mail. In a world where marketing is everything and the literary community is having to compete in a sense between itself, has there been the pressure to change the formula that has enthralled your readers for so long? Only once when someone suggested that I set the novels somewhere besides Chicago, like maybe Denver. With all due respect to Denver, I declined. Chicago is a character in the stories. I've had a few helpful suggestions from editors and publishers, but they did not involve a change in style. The Harry Potter series of books by J. K. Rawling seemed to captivate readers of all ages. What are your thoughts about the impact the Harry Potter franchise has had in encouraging young people to give reading a try? A lot of young people gobbled up the stories about Master Potter. Whether they will read more because of those books, I'm not sure. Better that they get lots of good example from their parents. Father Greeley, alot of authors that we speak to have an experience that has encouraged them to keep going when it comes to their careers. What does it for you? I never once thought about abandoning the telling of stories. I am always encouraged by people like you who understand what the stories are about -- comedies of grace. Thank you again for sharing a few moments with Conversations. We appreciate your time. You're welcome, Cyrus. Thank you for the work you are doing to educate and encourage reading. Additional information about Father Andrew M. Greeley can be found at http://www.agreeley.com. For 25 years the world has benefited from the talent and tenacity of the Queen of Daytime Talk, Oprah Winfrey. She has managed to acquire adoring fans from every corner of the globe and in the process made us feel as though on some level she could identify with us. Isn’t that after all the source of her power? The ability to be all things to all people? I would say so, and whether you have followed her over the years or just recently joined the Oprah bandwagon, there is no doubt that she has changed the way most of us look at life. For me Oprah represented the very essence of what is considered the American Dream. She came from extremely humble beginnings to achieve a level of wealth, prestige and power that few can truly comprehend. Over the past couple of decades we have witnessed her tackle her own personal demons while helping us battle our own. Year after year her loyal supporters united in with their time and their hearts, and she gave of herself freely and willingly with each and every show. There has been talk over the years about the level of influence that Oprah holds, and some have wondered aloud exactly where would it end. She has denied any political ambitions for herself, but in the 2008 election it was undeniable that her support of then Senator Barack Obama over then Senator Hillary Clinton contributed to his amazing victory. Though some criticized her decision to openly back a candidate, in many ways I feel it would have been “unOprahlike” for her not to do so. As she said time and again her heart told her it was the right thing to do, and we know her to be an individual that goes with her heart. Due to listening to her heart, Oprah announced that her 25th season of her talk show would be her last. In January 2011 a new chapter of her life began: that being the birth of the Oprah Winfrey Network or OWN. Here was a channel devoted entirely to content approved by Oprah herself and it featured a mix of docu-dramas, reality shows, movies and of course talk shows. Among the stars supporting the network are journalist Lisa Ling, the Judds, Shania Twain and Rosie O’Donnell. Currently the only live show is The Gayle King Show which brings her popular radio show to tv. As someone who was excited about the new endeavor I have found my favorite programs that speak to me and my own interests (namely Season 25: Oprah Behind The Scenes, Our America hosted by Lisa Ling, the reality show Your OWN Show and Master Class). Regardless of whether I can relate or enjoy everything on the channel, there is also a certain excitement in knowing that no matter what day you might tune in you are getting a glimpse into the wide-ranging demographics that Oprah has managed to speak to and inspire over the years. So what is next for the woman that seemingly has everything? It’s hard to say, but regardless of what she chooses to do next, you can believe that the world will continue to watch, take notes and talk about how the little girl from Mississippi was able to conquer the world. Find out more about Oprah, the network and her current projects at www.oprah.com. A male media mogul in the making inspired by the Queen of Talk? The initial thought might seem somewhat unlikely, however, a 35 year old man from Oprah Winfrey's home state of Mississippi, is proving that there is truly no limit to those who look up to and hope to emulate the reach of her brand. Cyrus Webb (known in artistic circles as C. A. Webb) has been following the path of Oprah for the past decade. After dealing with some internal as well as external challenges in his life, Webb began to use his love of the arts to share his personal story and encourage others to follow their dreams. As a visual artist, spoken word artist, public speaker, mentor, publicist, radio and television show host, print and online magazine publisher, columnist and President of Conversations Book Club and its chapters, Webb works daily to encourage, inspire and learn. Through his various projects, it is his goal that others will use their own artistic voices to make a difference. What told him that he could achieve all that he had over the past 10 years? It was Oprah. "Oprah's story is not just a woman's story," Webb says. "It is an American story and an example of what one can do not only for themselves but in the lives of others." Though the brand he is building is based on his own interests, Webb has brought others into his organization that expands his reach. 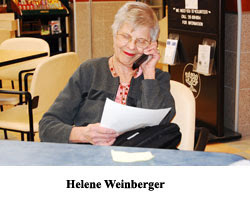 Case in point, when listeners to his radio show wanted information about subjects such as inspiration, health, sports, fashion and cooking, Webb was able to bring in individuals such as author Mary E.Gilder (co-host of "Inspirational Conversations), Herschel Dixon (now the host of "Herschel D's Weekly Sports Wrap-Up) , Chef Bruce Tretter (now the host of "Quick & Easy Cooking with Bruce Tretter), author Michele Howe (host of "Prescription For LIfe") and fashion designer/stylist Gail Ambeau (host of "Fashion Forward with Gail") to do weekly segments. All have been a welcomed addition. One feat that Webb is tackling now that Oprah hasn't is writing a book. Currently he is working on a serialized supernatural novel called BLESSED. Webb also wants others to know that there are men who are not just about themselves but are trying to make a difference as well. "We have enough examples of what men are doing wrong," Webb says. "I wanted to show that good guys can finish first and succeed as well." 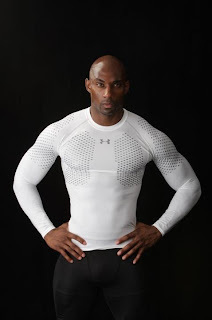 To connect all of his projects together, Webb launched the website www.cyruswebb.com. Through it Webb blogs about experiences, shares updates for his organization as well as information about his clients and upcoming projects. There are also featured book reviews on the site as well as commentaries on current events. "With a new year we are able to start fresh in the way we tackle life and the challenges we face," says Webb. "That is what I hope to continue to do, and I hope others will glean something from my work that encourages them the way that Oprah has encouraged me." Read Webb's article about Oprah and her network OWN in the March/April issue of Conversations Magazine out now or at www.conversationsmag.com. For more information about Cyrus Webb and his projects, visit www.cyruswebb.com. You can also contact him at cawebb4@juno.com or 601.896.5616. 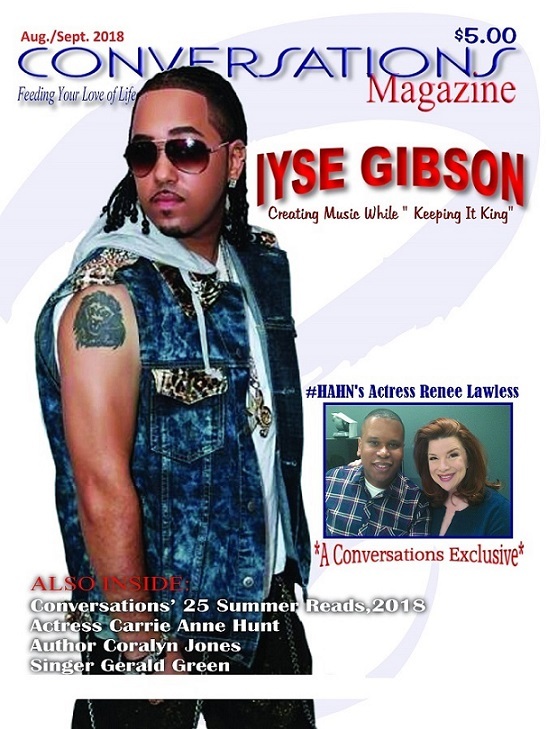 Conversations has had its share of exclusive interviews, however, this is one of the most powerful ones ever! 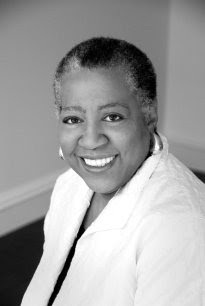 Marcia Ann Gillespie, one of the co-authors of MAYA ANGELOU: A Glorious Celebration took out time out of her busy schedule to talk about herself, her relationship with Dr. Angelou and why this book was a labor of love. Marcia, thank you for taking out the time to talk with us. Before we get into your current project involving the life of Maya Angelou, tell our readers about who you are. I am an African American woman, who takes great joy and pride in my ancestry and in being part of this extraordinary tribe of survivors and achievers, dreamers and believers. I was born and raised in a village on Long Island New York amidst a Black community made up mainly of folk from the south, North Carolina in particular. The youngest of two daughters born into a family of strivers and activists, I was constantly being reminded to do well in school, encouraged to read and to ask questions, to use my mind. What role did your parents have in the way you evolved as a person? My folks were people of deep faith who always strove to live the song. Both were natural leaders: My mom headed the PTA and served on the town's board of education. My father headed the local civic association and his local Masonic lodge. Both were active in the NAACP and engaged in civil rights. And although my father had little formal education, he was determined that we were going to get the educational opportunities that he'd been denied. From them I learned the importance of standing up for the things you believe in. They were my role models and my heroes who always encouraged me to dream and to go for my dreams, to take pride in myself, and believe in myself, and to live in the world. I had the great fortune of coming of age in the midst of the modern civil rights movement and to be a foot soldier in the struggle, taking part in protests, marches and rallies. I went to college (Lake Forest College) on scholarships in 1962, majored in American studies and planned to go to grad school after working for a couple of years to save money. When I graduated in 1966 I was hired as a researcher at Time Inc in New York City and discovered that I loved working on books and magazines. Many know you from your years with Essence Magazine. Tell us about how that developed. In 1970 I was working on a Black history book and fired up about the need for more books and magazines that told our story when Essence magazine was launched. I never imagined that one year later I would be the editor in chief. It was likely a fairy tale come true. For the rest of the decade I served as the editor and turned what had been a floundering publication into the fastest growing magazine in America. But far more important every day I was working to celebrate, inspire and inform Black women, helping to sing our song. When I decided to leave Essence after the magazine's 10th anniversary I did so knowing that it was and would be an enduring success and now it was time for me to test my wings. I moved to Jamaica in the West Indies and lived and worked there for several years. 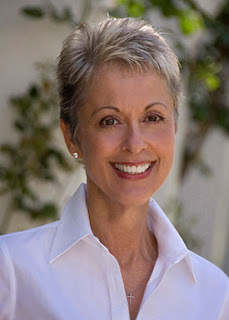 When I returned to the States I became more involved with the Women's Movement and became a contributing editor at Ms. magazine writing a regular column, then the magazine's executive editor and later the editor in chief. In 2002 I stepped down as Ms magazine's editor in chief, after ten years in that capacity. Now I've started a new phase as a full time writer. Your friendship with Dr. Angelou has spanned many years. Why did you think it was the time now to put together a tribute of her life now? I've known Dr. Maya Angelou and called her friend for more than 35 years, since she reached out to me when I was a fledgling editor in chief at Essence. But I never expected or planned to write a book about her. Dr. Richard Long, one of my collaborators on this project, was the one who came up with the idea of doing a scrapbook with Rosa Johnson Butler (Dr A's niece and archivist) using some of the photos from her archives. I was asked to join the party after their original idea didn't quite pan out. Although I've known Dr Angelou for a very long time and spent many many wonderful days in her company and home I had no idea that she was such a great pack rat who kept hundreds of photos, and all drafts of her many works, as well as so many other things from her journey. I spent several days in North Carolina exploring and marveling at this treasure trove and in the midst of it I realized that instead of a scrapbook we needed to do a full biography celebrating the extraordinary woman and her remarkable life. I immediately began reading and rereading everything she had written, the interviews she's given over the years, and many of the articles and profiles that have been written about her. I also drew on the many, many conversations that we have shared in the past and continued to share as I worked on the manuscript. And then for the next eight months I wrote and rewrote the book. In the midst of writing the book and after I'd completed the manuscript Rosa Johnson Butler, Janet Hill, the editor of this book, and I also spent days over many months going over every photo, culling and editing. Once we made our final selects Rosa sorted through the rights and permission, tracking down and reaching out to the many photographers whose work we wanted to use. I then began to work on the captions, often spending hours with Dr. Angelou discussing each photo and invariably getting wonderful anecdotes from her, many of which I incorporated in the final draft of the book. 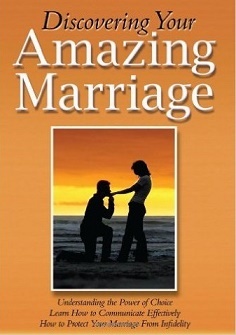 The book was co-written with Rosa Johnson Butler and Richard Long with a foreword by Oprah Winfrey. How did the entire process develop? It took several years to get this book completed, more than originally anticipated: computer crashes, personal emergencies and other life complications, as well as the challenge of getting all the permissions from so many different people and organizations. At times I'm sure we all despaired ever getting through it all, but the one person who kept faith was our editor. When all was said and done last year, I suggested that we time the publication to coincide with Dr. Angelou's 80th birthday and everyone agreed. In retrospect I think the all the delays we experienced along the way was really in divine order. 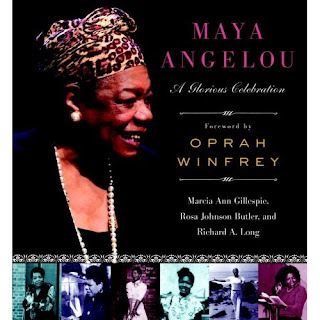 This book was written to honor and celebrate Maya Angelou life and work. Publishing it to coincide with this milestone birthday was a perfect bouquet from us to her. Thanks to Rosa and Richard who asked Oprah to write the forward made even sweeter by her heartfelt contribution. I was on pins and needles waiting for the book to come out because I so wanted Maya to be pleased and other than looking at the photos she had refused to read the manuscript, saying that she wanted to wait until it was in print. More than anything I wanted her to be pleased. To my relief and delight she told me it was "beautiful" and that she loved the writing, the photos, the design. We sat in her kitchen one day and she paid me the ultimate compliment of reading passages of the book that she particularly loved back to me. I was in tears. One of things that I have learned from her life is the need to take advantage of the opportunities we are given. What are some of the lessons you have learned from her? You ask what are some of the lessons I've learned from Maya Angelou? I hardly know where to begin there are so many. I hope I've learned to become more gracious, thankful and giving from her example. She is one of the most thoughtful people I know. I've learned to be a better friend from her because she constantly emphasizes the importance of caring for our friendships. I've learned to laugh at myself more and to be more of a risk taker because time and time again I've watched her step out on faith and heard her laugh about her own missteps and foibles. I've learned to be a better listener from her and that sometimes silence is the best response because when you are in her company you are always aware that she is constantly listening to things said and unspoken. She listens with her entire being and she remembers everything. Although I don't share her gift of total recall, I most certainly do try to follow her example and have discovered so much about myself and others as a result. I've learned the value of sweet speech from her. I've listened closely as she's challenged and/or corrected someone with carefully chosen words that bring honey not hurt. And I am always reminded of the importance of doing ones personal and professional homework by watching how disciplined she is in her pursuit of information, in how hard she works at her writing, in her quest for greater self understanding and spiritual growth. Can you share with our readers how she felt when you all presented the project? I hope that readers, especially younger readers of this book will come away more committed to pursuing their own dreams. Maya Angelou's life reminds us that the road may not always be straight, that there will be challenges, that we may stumble and occasionally lose our way, but one can pick oneself up and forge on. You have to be prepared to work at living, not simply being alive. If you find something you love, discover your talent(s) don't waste it, work at perfecting it. Respect yourself and others. Have faith in yourself and always keep faith with the higher power, the Creator of it all. The book was released just days before her 80th birthday, her birthday being the same day that Dr. Martin Luther King, Jr. was assasinated. 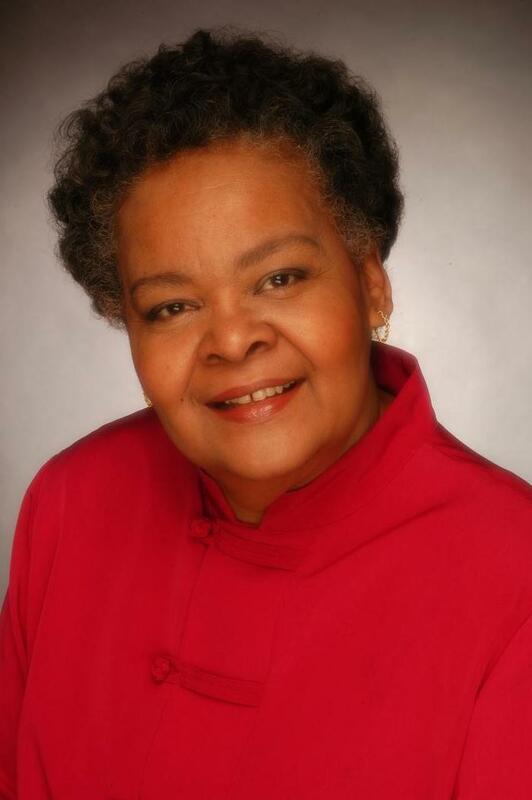 What significance does the day have for you seeing that we celebrate her life and his death? You're right, the original release of this book also coincided with the 40th anniversary of Dr. Martin Luther King's assassination on April 4th which is also Maya Angelou's birthday--a bittersweet coincidence for her and for us all. These two great Americans, great human beings were friends and colleagues who shared a profound and abiding belief in the possibilities of humankind. In so many ways in her life and work, Dr Angelou has been expressing his philosophy as well as hers. You have devoted many years of your life to sharing your love of words. What else is in the works for you in the future? Words have so much power to inspire, transform, inform, to bring joy, love and laughter. Reading is one of my passions. I do love books. I love reading them and I'm determined to keep writing books of my own. Currently I'm working on a memoir about my life and Black life in the 1970s its called When Blacks Became Americans because this was the period when we began to really move into the mainstream of America and claim our places at the table. It was also the period when I was the editor in chief of Essence and in that capacity met and interacted with so many of the folk who were blazing new trails for us all. So its my personal story but it's also a social history which—fingers crossed—I hope will resonate for many readers. When it comes to giving advice to others I would echo the advice Maya Angelou's mother gave to her—"just do your work". What advice would you have for aspiring writers, actors or anyone who is looking to be a professional in the arts? You may not ever become rich or famous, but you can be good at what you do. So take pride in your work, keep perfecting your work, but always strive to enrich your life, count your blessings, love and nurture you friends and family, build strong positive relationships and take time to notice, explore and savor the wonders of this world and of this life cause we only have this one shot at it. Marcia, thank you so much for your time. We look forward to your upcoming work. When you have a conversation with author Dianne Dixon you can't help but feel as though you are just catching up with an old friend. She is a woman who is not comfortable in her own skin, but ready and willing to share what she has learned over the years with others. I first learned of her in 2010 when she was on Conversations LIVE discussing her book THE LANGUAGE OF SECRETS. It's an intricate tale that reminds us that life is never all that we imagine and sometimes you have to go through a loss in order to find who you really are. In this conversation with Dianne she talks about the impact the book has had on readers around the world and also why it is so important for other writers and those who aspire to write to make sure that they are doing so honestly and from the heart. Dianne, it's been almost a year since you and I last spoke. Before we get into your novel THE LANGUAGE OF SECRETS why don't you tell our readers when you knew you had a story you wanted to tell. The roots of the story told in The Language of Secrets were ideas I'd been carrying in my heart and mind for a long time, but it wasn't until I came across research done at Cornell Medical School on Disassociative Identity Disorder that the final piece of the puzzle fell into place. Without knowing it, I'd been looking for one, last, crucial detail in Justin's mental and emotional landscape. The minute I came across the Cornell research I realized I'd found it, and I began the novel. It was very exciting. Your professional life seems to have been filled with opportunities to share your creativity with others. Was it that way for you growing up as well? Not as much. In my growing-up years I was a pretty solitary kid. I spent an inordinate amount of time lost in books, and in daydreams, and in the company of imaginary friends. But looking back on my childhood now, I can see that the reading and the daydreaming (and the imaginary friends) were forming the foundation for a life-long love affair with the art of storytelling. In my case I was 20 years old when I realized that my life had a purpose, not just for myself but for those around me as well. When did you know that your gifts were going to go further than just what you could see around you? My first clear understanding that my talent was a gift with implications larger than I'd ever imagined came when I was part of the creative team on an animated series called "Bobby's World." I had written an episode in which Bobby (a four year-old) experiences the death of someone he loves (a man who works at his pre-school, a character named Abe). After the episode aired, I received a letter from a woman telling me that on the morning of her father's funeral she was terribly upset to see her children watching a "Bobby's World" cartoon. It seemed too a solemn day for cartoons. As she went to switch the TV off, the character on-screen was Abe. It was the closing scene of the episode and Abe was now an angel floating at the edge of a cloud. Abe was looking down, watching Bobby lead a group of kids in a song that Abe had taught to him; and Abe was whispering, "They're playing my song." The woman said that suddenly, in the midst of her sadness, she experienced a profound sense of joy. Her father's name had been Abe. And she felt he was telling her that he was OK and that he would be watching over her, and that the memories they'd made together would always be part of the music of her life. Her letter gave me chills. I've never forgotten it. And I've never forgotten the lesson it taught me about the stories I tell about the unexpected ways in which those stories might impact other people's lives. Dianne, when you were on Conversations LIVE last year we talked about the way your book THE LANGUAGE OF SECRETS seemed to unfold like a movie for the reader. What was it like to live with the characters you had created, especially since the idea for the story was birth from an actual event? Living with the characters who appeared in The Language of Secrets was a fascinating experience. Very early on they seemed to develop lives of their own and my role almost became that of a reporter transcribing the conversations and events in which these characters were participating. They were absolutely real to me. And my relationship with each of them was different: some of them, I loved,some, I loathed, and there were others about whom I had (and continue to have) very mixed feelings. And, even though it's been several years since I completed work on The Language of Secrets I still think about the characters and miss them a little. Now that it has been a year since the book's release, what has surprised you the most about the response to it? For me the most surprising thing has been how broad the spectrum of responses has been. Both men and women young and old in locations as disparate as the US, India, mainland China, and many places in between have found a connection to the story and its characters. For example, a man in England who'd been married for over fifty years said that The Language of Secrets rocked his basic perception of his marriage. It made him realize that the marriage his wife had experienced was probably very different from the one he had experienced. 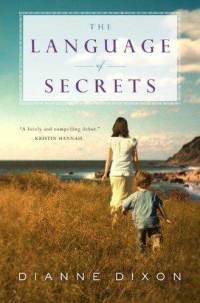 An Australian woman in her twenties told me that reading The Language of Secrets completely changed her relationship with her mother. The rector of a large Episcopal church in California said that he was fascinated by the way The Language of Secrets deals with life's moral ambiguities. And a woman in New York told me that Justin's story in The Language of Secrets prompted her to take a closer look at some of the details in her own family history and to eventually uncover information that turned out to be life-changing. Getting such variety, and such depth, in the responses to the book was something I was totally unprepared for. I had no idea that what I had written would affect so many people in so many different ways. It's something I'm deeply grateful for, and completely humbled by. Can you tell us if you are working on your sophomore novel at this time? Yes, I'm at work on a new book and am hoping to have a finished first draft by the end of this year. As someone who has found success as an author, there will be aspiring writers who look up to you for guidance and direction. Do you have any advice for them? I guess my advice would be to write what's in your heart,not what's hot. Don't do a vampire story, or a memoir, or a mystery, simply because vampire stories or memoirs or mysteries seem to be what's selling. While I was writing The Language of Secrets I can't count the number of people who insisted that what I needed to be working on was a memoir because memoirs were "hot" at the moment and literary fiction was pretty much a dead area in publishing. Good writing comes from a place of honesty and passion and skill. Write the things that flow from the truest places within you; and write them with craft, and care, and intelligence. Thanks again for your time, Dianne. How can our readers find out more information online about you and the book? All the information is on my website: www.diannedixon.com. And thank you, Cyrus, for this chance to chat. You are truly a gift to the world of writing and writers. It's no secret that technology has cemented itself firmly in the workplace. For many employees, technology such as computers, smart-phones and landlines are a staple to their daily activity. Not to mention the Internet, inter-office messaging and intercom systems keep everything running smoothly. Whether you are a so-called white collar or blue collar worker your connection to technology may be constant. It used to be said that the biggest time waster in the office workplace was the computer version of Solitaire. A simple one-sided card game that was played by a single person. With the continuing advances in technology an employee no longer needs to engage in a solitary activity. Now employees can communicate with anywhere between one to a thousand or more people within the scope of an eight hour workday depending on his or her online environment. This is not just limited to just office employees who primarily sit in front of computers all day. Due to the dominance of hand-held devices anyone has a wide range of unlimited access to all sorts of extra- curricular activities. How does this affect productivity on the job? According to a study conducted by AOL and Salary.com the average American wastes two hours of every eight hour workday. 44% of the time wasted is surfing the internet for personal use. That amounts to almost $6000 of wasted salary per employee. This amounted to an estimated $759 million paid to employees for wasted time. This study was conducted in 2005. Long before social networks like Facebook and Twitter fully integrated themselves into everyone's daily routine. Since these sites inception the cost as well as the amount of time wasted has no doubt skyrocketed in recent years. Excessive use of technology in the workplace has become a major financial liability. With that in mind, the need exists for employees to know when to disconnect. Knowing how to balance your use of technology and spending work hours productively instead of on personal interests or pursuits on the internet or through other forms of technology can be the difference between being gainfully employed and owning a spot at the unemployment office. 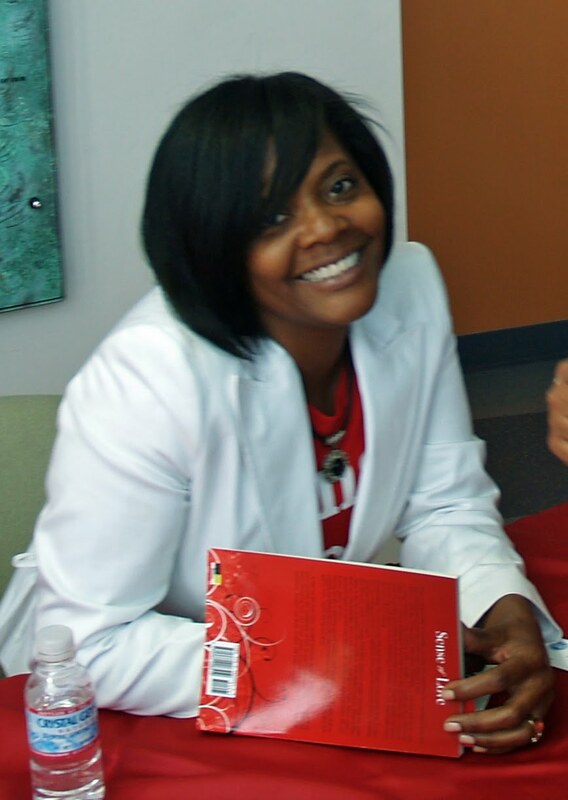 Toya Bryant is a Freelance Writer who focuses on positives changes and actions that impact the family and the community. Not only writing about them, but doing them in her own life by making her primary work volunteer service. She has written for various online publications as well as print magazines. Currently you can find her writing about ways to create a balance between the digital world and the real one at www.DisconnectU.com. Bestselling author Chassie West is one of those authors that you read one of her titles and you are hooked. She has managed to remain not only relevant over the years, but pick up new readers along with retaining those who have been joining her work for some time. When I reached out to her initially, I wasn't sure what to expect. To my pleasant surprise she responded by quickly and the result is the interview you find here. Regardless what your profession, I think Chassie says something that all of us can appreciate and learn from. What did I take away? There is a huge difference in getting by and getting through, and all of us should be pushing to see what's on the other side of this chapter of our lives. Chassie, I have been reading your books for several years now. When did you realize that writing was something you wanted to do in your life? I come from a long line of tellers of tall tales and outright liars. I've always made up stories, have always written, but never thought of it in terms of being paid to do it until I was in my 30's. A creative writing teacher at Antioch College insisted that I should take writing more seriously, that I was good enough to be published. She nagged until I began a story just to get her off my back. Still, it was ten years before my first book was published. By then I couldn't have stopped writing whether I was published or not. The bug had bitten and I was well and truly infected. You have found success and a following all around the world. Has that been a pleasant surprise for you? Oh, you betcha. You could have knocked me over when I began getting fan mail from Australia. And Germany. And, of course, the US. It's been humbling and I'm always touched by the fact that someone took the time to correspond at all. Most readers may absolutely love a book, but it doesn't occur to them to let the writer know it. I'm as guilty as everyone else. So I make an effort to express my appreciation to other writers. Sometimes it's the only thing that keeps us going. For some writing is a personal thing, but fur authors like you, there is always interest in what's coming next. How do you keep your head when so much is expected of you? That's a problem, especially given the state of publishing today. My first book, one for young adults, was published in 1981. It's a different world today, a different business, the operative word being "business." It's six times harder to be published and just as hard if your sales aren't stellar. But writers, being writers, keep at it anyway. Once it's in your blood, you have no other option. Looking forward, what's coming up for you this year? Well, I've just seen my first and I swear my last non-fiction book published last month No Reason for Goodbyes: Messages from Beyond Life. It's so far from my previous twenty-five books that it took me seven years to get it done. Its theme is after death communication, a collection of over a hundred narratives, plus my own, relating the experiences of people from the US, Canada, the United Kingdom and as far away as Australia, who have had contact of various sorts from the departed. It's far more common than everyone thinks, but people who've been on the receiving end of them rarely if ever talk about it for fear of being considered Fruit Loops. The intent of the book is to come out of the metaphysical/paranormal closet. It happens. We experienced it. You can believe it or not, but for us, it was a miracle and we're not about to keep quiet about it any longer. Ergo No Reason. But my first love will always be the mystery genre. Now that No Reason is done and out there, I can return to more familiar territory, the mystery I began over a year ago. I'm a slow writer under the best of circumstances, so heaven knows how long it will take me to finish this puppy. But I will. Too pig-headed not to. Chassie, have there been characters we have been introduced to before that you are thinking about revisiting? Not at this point. Once I got Leigh Ann and Duck married, I was done. Every now and then I fantasize about Tank and Tina. Who knows? Maybe some day you'll see them again. But the bottom line is that the sales of the series weren't bringing in big enough bucks to make the publisher consider continuing it. And the bottom line carries the day. Do you have any advice for aspiring writers looking to make it in the business? 1. Don't talk about it, just do it. Sit your fanny in front of the computer or curl up with your pen and paper if you write better that way, and get the words down. Believe me, that takes discipline and persistence. But the only way to consider yourself a writer, published or not, is doing it. 2. Write what you love to read. One tends to do that best. But make the story your own, giving it your unique perspective. Write it from an angle you haven't seen yet, something fresh and different. And FINISH IT! 3. Do your homework. Make certain your manuscript is both polished and formatted correctly. Hit the library or buy the current year's Writers Market, which lists publishers from all over the world. Find the publishers who have published books similar to what you've written, i.e., don't send a romance to a publisher interested solely in mysteries or thrillers or science fiction. Note the name of the editor at the publishing house so you can send it directly to him or her. Determine whether the editor prefers a query letter first or three chapters of your book and an outline of the rest, or whether they want to see the whole manuscript. Send it out along with a self-addressed and stamped envelope unless they indicate otherwise. Then start writing your next book, since it may be as long as six months before you hear a peep from that publisher. No point in wasting time. If you're a writer, then write. And don't be discouraged by rejections. Unless they tell you, you can never be sure why they turned you down. Your writing may be mind-blowing but if they already have a similar book in the pipeline, they won't want another. So send your manuscript to another publisher. Then another. And keep writing. You'll get there yet. Thanks for your time, Chassie, and continued success to you. How can our readers keep up with you online? 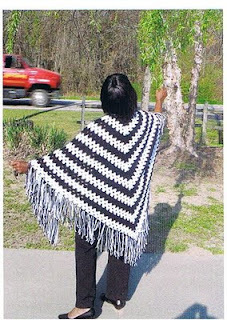 My Web site for mysteries is www.chassiewest.com with an e-mail address listed. For the new non-fiction book, the Web site is www.NoReasonforGoodbyes.com , the contact chassiewest@gmail.com. Thanks for this honor. All of us out here appreciate your support, Cyrus Webb.